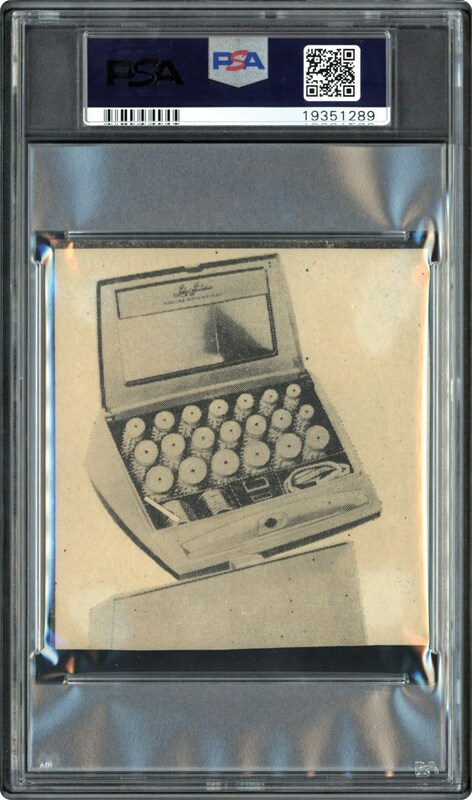 These "Cards" are actually "Newspaper Clippings" which were issued on a daily basis during the 1970 Baseball Season in an Ohio newspaper. Measuring 3-1/2" x 4" and printed in B&W, they are condition sensitive. 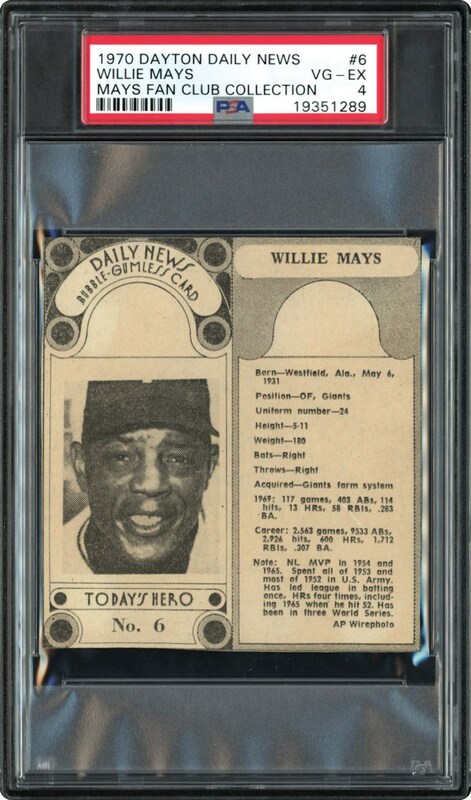 There are 160 different players in the set and the offered Willie Mays is the one and only PSA 4 VG-EX example in the hobby with nothing grading higher.